In today’s economy, a college education is an essential stepping stone for starting a career. However, as the cost of college continues to rise, financing higher education becomes an increasingly daunting and potentially burdensome task for families. Although it can seem overwhelming, navigating education planning effectively is certainly possible with the proper guidance. We’ve broken down the most important education planning action items into three phases: the early years of a child’s life, high school, and college. It is a supplement to our “Getting Smart About Paying for College” guide, which offers six steps for maximizing the pool of funds available to you in order to get the best price for your college education. The adage that time is your biggest asset when it comes to growing your investment portfolio also holds true with education planning. Whether you are planning on funding the entire cost of college or just a portion of it, take advantage of the time you have available and begin setting money aside as soon as your child is born. While there are multiple ways to begin saving for college, 529 plans are the most common. In 2017, the number of 529 plans opened increased by 3 percent from the previous year, with a record 13.3 million families taking advantage of 529 plans. These plans are tax-advantaged investment accounts designed to encourage saving for future education costs. 529 plans offer an array of advantages, including possible tax deductions for contributions, flexibility to change the beneficiary of the account, and tax-free growth if used for qualified education expenses. Generally, qualified education expenses include tuition, room and board, books, computer equipment, and more. Qualified education expenses will be discussed in greater detail below in Phase 3: The College Years. Another noteworthy characteristic of 529 plans is that the owner of the 529 plan, not the beneficiary, maintains control of the funds indefinitely, which helps ensure they are used for their intended purpose. For this reason, it is often best to place the 529 plan in the name of a parent. As of January 2018, 529 plans can also be used to fund K-12 education. An account owner may withdraw up to $10,000 per year for each beneficiary. Unlike funding for college, however, this money can only be spent on school tuition, and cannot be used towards textbooks, computers, or other fees or activities. While this change offers added flexibility, keep in mind that any withdrawals used to fund K-12 education will have a direct impact on your ability to fund future college expenses. Not all states have conformed with new federal rules for 529 use, so be sure to check with your state before proceeding. To determine what amount you should be saving to meet your goal, consult a financial advisor or an online resource. Don’t let an undefined goal prevent you from getting started. This is important because education planning, like financial planning, is a process, not an event. There will be course corrections along the way, but the positive impact of starting early is undeniable. Review your savings accounts to see if any adjustments need to be made to meet your objectives. You should also revisit the asset allocation of the account to ensure it is more conservative. This helps minimize the risk of an untimely market decline occurring as college expenses begin. Most 529 plans offer convenient investment options such as “target-date funds” that will automatically adjust the allocation to become more conservative as college approaches. Regardless of assets or income, a student should always apply for financial aid by submitting a FAFSA (Free Application for Federal Student Aid). First, many universities and scholarships require a FAFSA to be submitted for a student to be considered for merit aid. Second, as the cost of college rises, an increasing amount of middle & high-income families will be considered eligible for need-based aid. The application is free, so there is no financial downside. FAFSA Deadlines: The FAFSA form is available on October 1st of each year. Ideally, the FAFSA should be submitted as soon as possible after October 1st to ensure the best chance of receiving aid. The longer you wait to submit the FAFSA, the less total aid remains available. Two-Year Lookback: The FAFSA form now operates using a two-year lookback. This means that completing the FAFSA requires income and tax information from two years prior. If you or your family has experienced a significant shift in income from the previous year, or if you believe there are unique circumstances, we recommend contacting the financial aid offices at the schools you’re applying to, as they have the ability to make exceptions as they deem appropriate. Early Decision is a binding agreement between the applicant and school; if the applicant is admitted, they must enroll. Applying to college Early Decision can be a strategic move if your child has their heart set on a school and there are no questions about how you will be funding that choice if they are accepted. If the potential for merit aid is a priority, we recommend thinking twice before applying Early Decision. An institution may not be incentivized to offer an Early Decision applicant merit aid since the applicant is already committed to enrolling. Education planning doesn’t stop at college acceptance. To ensure that all available financial aid and savings are maximized, it’s important to manage and evaluate funding opportunities until graduation. Any financial aid your child qualifies for does not automatically carry over into the next year. To ensure your child is eligible to continue to receive any federal and/or merit aid, it’s important to file a FAFSA each year. Ideally, all 529 plan assets should be owned by the child or parents. Ownership of assets and accounts is important because it can have a significant impact on a child’s financial aid eligibility. For example, a distribution from a grandparent-owned 529 plan is considered student income, and thus could reduce aid eligibility by as much as 50 percent of the distribution amount. We recommend transferring ownership of 529 plans to parents which allows for qualified distributions from the accounts with limited impact to the student’s financial aid eligibility. If there will be distributions from 529 plans owned by someone else, they should occur the last two-years of college to avoid any reductions in the child’s aid eligibility due to the FAFSA’s two-year lookback rule. Qualified Education Expenses: 529 plans offer tax-free growth and tax-free withdrawals if the funds are used towards qualified education expenses. It is important to understand the list of qualified expenses before using 529 funds to avoid potential penalties and ensure you are taking full advantage of your plan. These qualified expenses include basic items such as tuition, room & board, books & supplies, but can also include off-campus housing expenses (up to the cost of on-campus housing), and technology, such as a laptop or necessary software for classes. 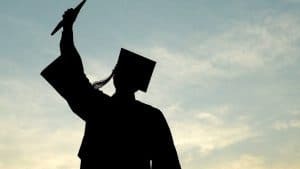 Change the Beneficiary: One of the most convenient features of a 529 plan is the ability to freely change beneficiaries of the plan. You may transfer these funds to another child or even maintain the account to fund education expenses of future grandchildren. Post-Graduate School: You may also use these funds to help pay for post-graduate programs, if applicable, for any member of your family. 10% Penalty for Non-Qualified Expenses: If necessary, you may withdraw 529 funds for a non-qualified expense at any time; however, you will face a 10 percent penalty on any earnings in addition to any applicable taxes. While the many steps of saving for education expenses can seem daunting, the most important part is getting started. Time will be your biggest asset in this endeavor and beginning this process early will help minimize stress and anxiety while increasing your likelihood of a successful outcome. Every family situation is different, so we recommend consulting with a financial advisor who is familiar with the intricacies of education planning. An experienced advisor will be able to assist you throughout this process and identify strategies and opportunities applicable to your specific situation. Note: A 529 plan is a college savings plan that allows individuals to save for college on a tax-advantaged basis. Every state offers at least one 529 plan. Before buying a 529 plan, you should inquire about the particular plan and its fees and expenses. You should also consider that certain states offer tax benefits and fee savings to in-state residents. Whether a state tax deduction and/or application fee savings are available depends on your state of residence. For tax advice, consult your tax professional. Investors should consider the investment objectives, risks, charges, and expenses associated with 529 plans before investing. More information about 529 plans is available in each issuer’s official statement, which should be read carefully before investing.